Robin Gile has read palms professionally for over 40 years. 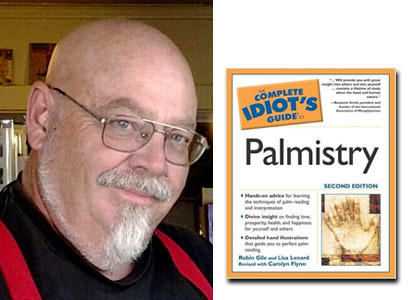 The author of The Complete Idiot’s Guide to Palmistry. Mr. Gile has traveled throughout the country as a reader and adviser and has an impressive following. “The hand is a map of one’s life. It is a map that changes and offers potentials and opportunity for our choices”.